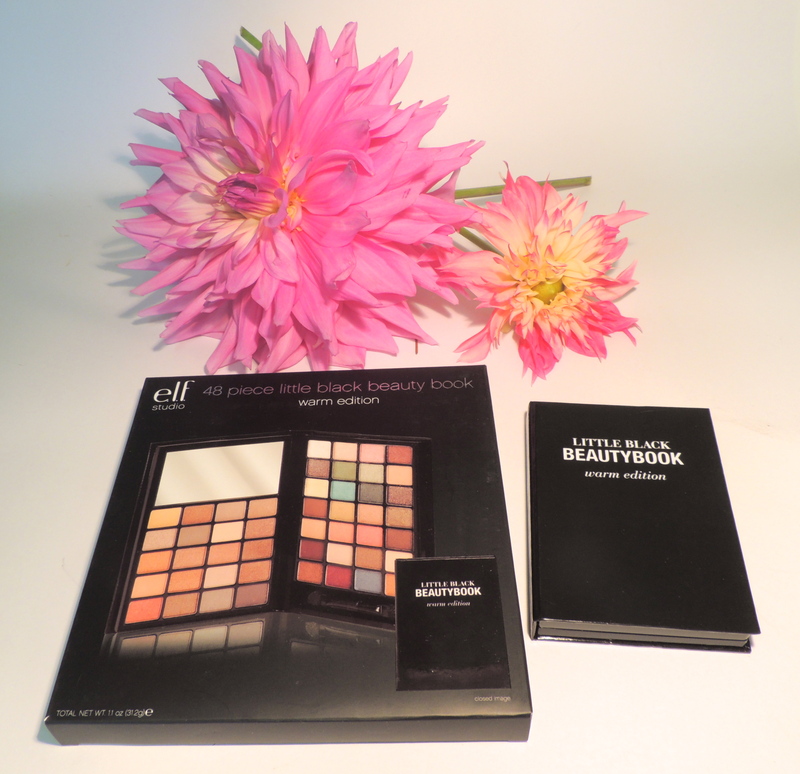 ELF Little Black Beautybook - eye edition warm - Give Me Gorgeous! 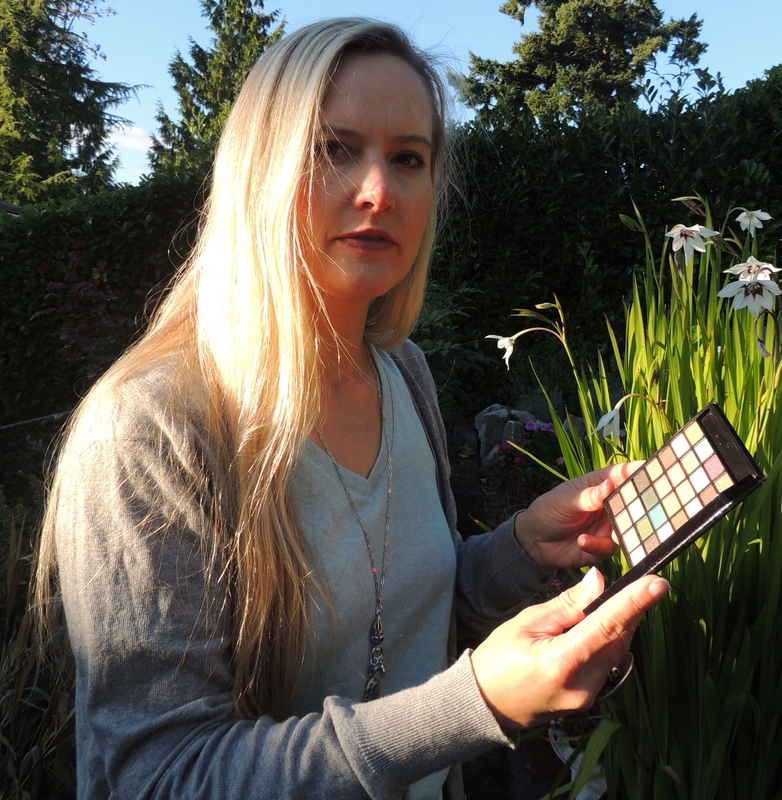 A great deal for such a selection of eyeshadow colors – this palette comes in a choice of four sets: Day (browns, pinks and plums), Night (a rainbow of eyeshadow colors), Cool (blues, greens, a couple yellows and some pinks) or Warm (brown hues with a couple greens and blues). 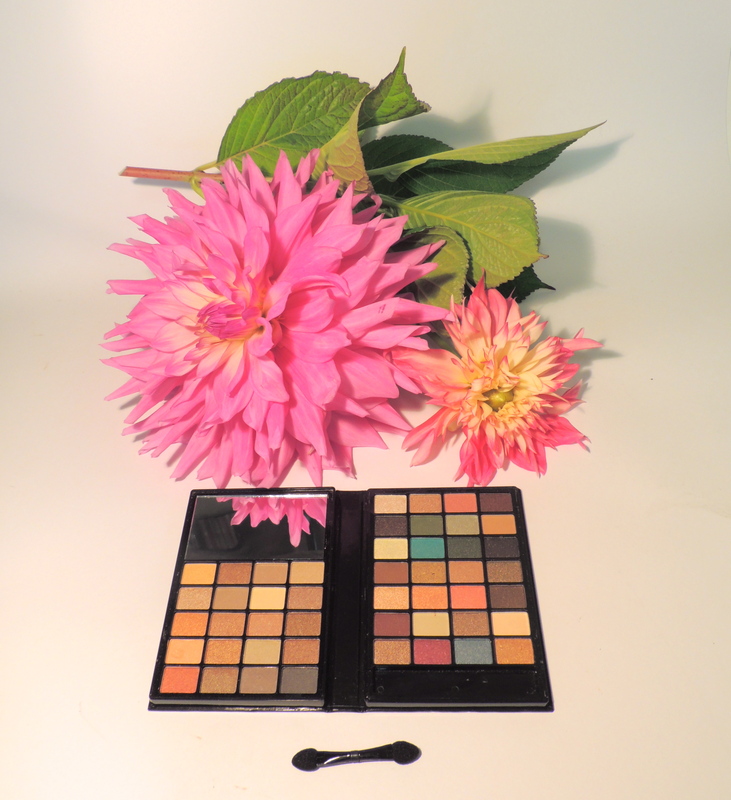 The palette itself is very compact at about 3.5 inches by just under 5 inches rectangular. 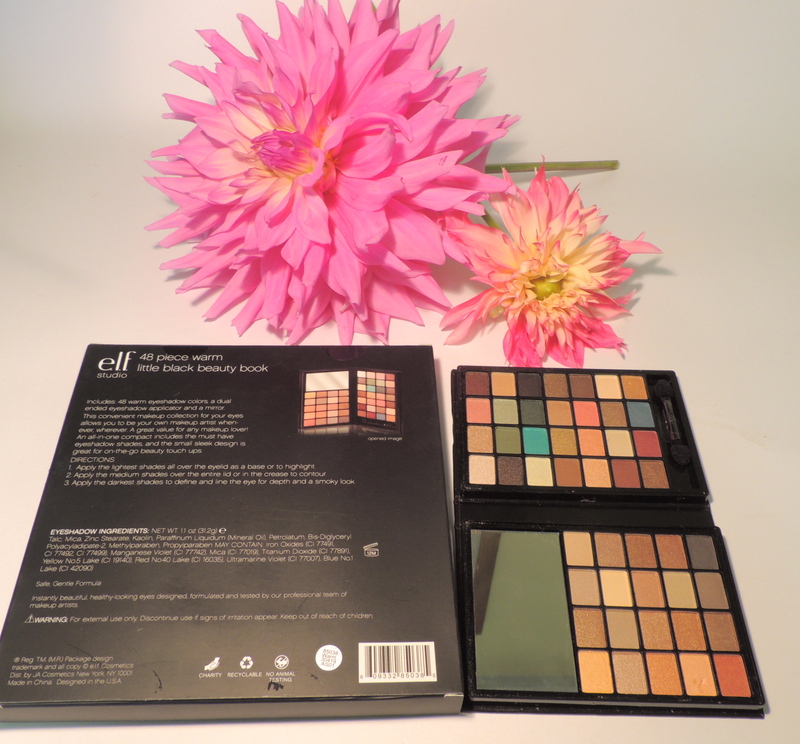 It opens up to reveal a mirror on the top left and an applicator in the lower right – and 48 eyeshadow colors! 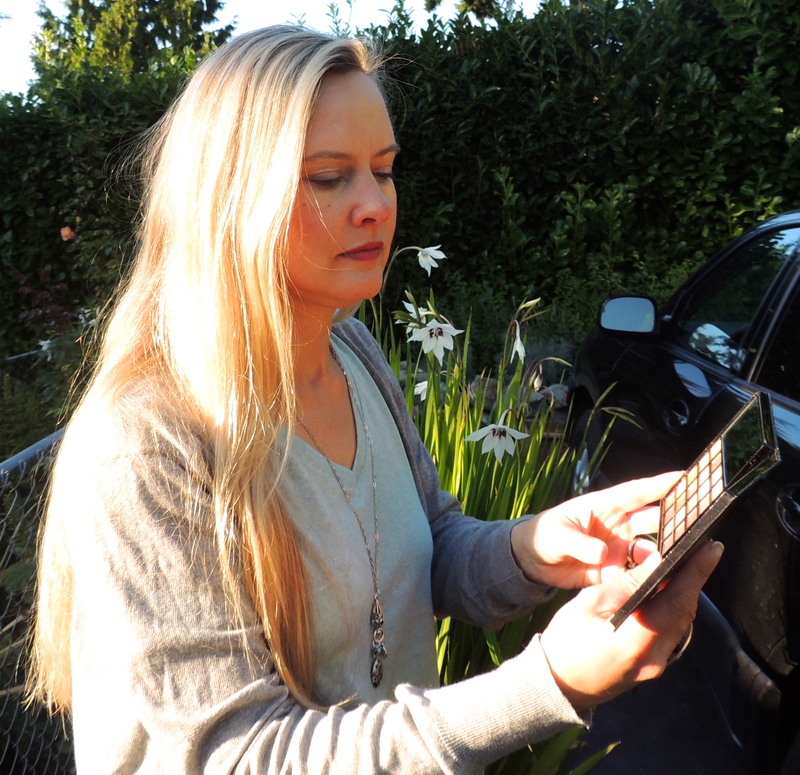 I purchased mine directly from the elf website for just $6.00. I’m sure some of you are skeptical about this inexpensive brand, however I love the selection of compact colors that come in this palette. There are endless combinations that can be tried and for those who like to experiment with their look – this palette is great! The color variety offers so many shades that go well together as highlighter/crease/lid color, you really can’t go wrong with whichever set of colors you use. I only wish the colors all had color names, so that I could make note of them for later full-sized purchase. I think I will get the Day palette next.